I've made no bones about my preference of comic kingdoms. I'm DC. That's where my happiness lives. I am that guy. That's how I get down, and I like to get down! I've made this complaint before. I've said it before. I've said that the major DC characters are so deeply woven into the modern consciousness that 'we know what a Superman is and how they get down', and he also likes to get down. We all like to get down. We also know what a Batman is. We know these things. DC characters run deep in the modern vernacular. I never have to sit in DC superhero films and explain who characters are to my friends. That doesn't happen. Okay, sometimes it happens. Not often though. Not like Marvel. 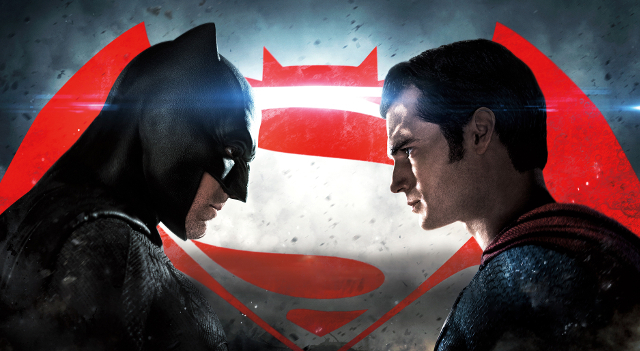 Don't get me wrong, Marvel has its A-listers too, but Superman and Batman? No, they don't have those. They don't have Wonder Woman, or The Flash, or Aquaman. DC's problem when it comes down to it is one of recognition. What they seemingly consistently fail to realise is that their stories are the best part. Like, balls to the wall awesomeness told in sequential art. Marvel trades in awesome characters. I can't deny that. They're so much fun, and they're characterised deep, and when they're done poorly you can really tell. Whereas DC are sewing the tapestries of our modern mythology. There is an ebb and flow in the characters, but their roles in the mythos are known and important. Their stories and their roles within those stories are what's important. I'm not off topic, it just seems that way. Doomsday is in the trailer. Doomsday has a very specific role in the mythology. He killed Superman. He kills Superman. He will kill Superman. He is killing him right now, and he will always be killing him. That's who Doomsday is. He is the guy that killed Superman more than he is his own identity. 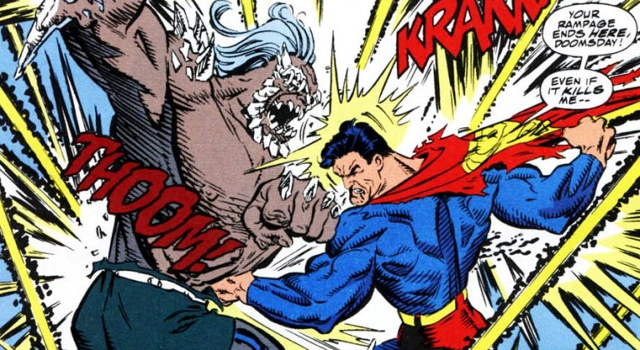 Doomsday is the point of no return for the beginning of The Death and Return of Superman, which leads into so many other things. Why this is important is that The Death and Return of Superman is perhaps one of the greatest comic story arcs ever written, but it won't be a part of this new film continuity, because it really doesn't look like they're killing Superman in the opening film. Also, The Death and Return of Superman isn't really, really a Justice League story. I was at a point where I already felt the same way about Batman v Superman: Dawn of Justice as I do about The Dark Knight Rises and that horrible Green Lantern film, which totally undercut the possibility of far superior stories being told as part of their continuity, Knightfall and Emerald Twilight respectively. 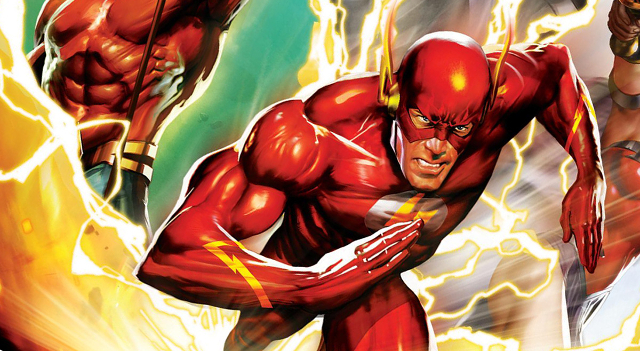 Until I heard that The Flash does something very specific in the film that is his role in the mythology. There is this thing that The Flash is responsible for. This really important thing that makes him one of the most important characters in the entirety of all of the comics that have ever been published by DC. I'm not even going to go into it here. That isn't going to happen. I think we should all see it. I'm ridiculously pumped for this thing, and all the things that they make after! Come at me with all of your things!